Transforming your vision into reality. After numerous requests to bid on construction & design plans from other providers we feel that you should be aware of all the options available to design & build a swimming pool. 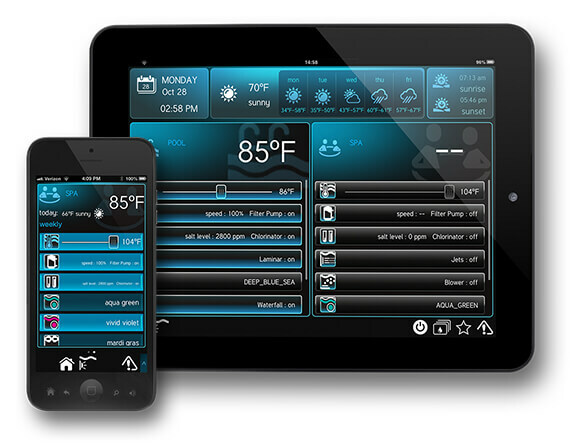 There are DIY solutions for the budget & schedule conscious pool owner. Use our pool & backyard layout design worksheet to sketch up your ideas and either contact us for a turnkey quote to build or to use with your DIY pool building project. Whether you are interested in building your own swimming pool or hiring a pool company (like us) to build it for you, we are transparent with some starting price information that will help you decide what is best for you. Upgrade & Add–on Options – Standard operating equipment or all the bells & whistles. Environmental Elements – Hardscapes and Landscaping theme options. Structural Design Features – From waterfalls to automatic pool covers & swim-up bars. 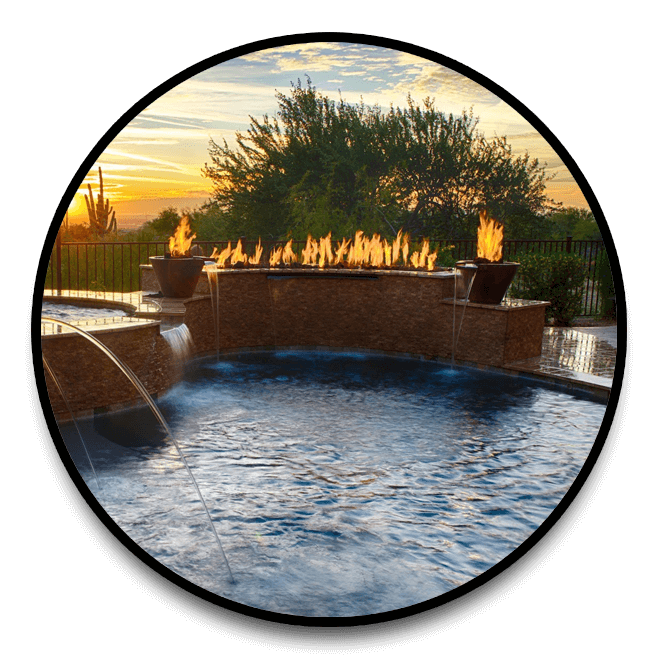 Water & Fire Features – Enhance your pool design with breath taking effects. Finishing Touches – Elegant tiles and coping materials, dazzling pool interior finishing effects. Gunite Pool Designs – Allow the most customization, designs and features, with the most available add-ons. Shapes & Sizes – Modern, Geometric, Hybrid, Free-Form, Natural, Conventional, and many more pool design shapes in all sizes. If you have enough space to build and your budget allows for you to indulge your own imagination then creative elements such as multiple level designs, peninsulas & islands, caves & grottos, stepping stones, vanishing edges, and even underwater sound systems can be incorporated. As always, an integrated approach to the pool design process from the start to finish will ensure it’s just how you imagined, a trouble-free pool with a WOW Factor! Whether you have owned swimming pools before or this will be your first pool construction experience, we are trained to maximize your value and provide you access to all available options and features. This may be the easiest and fun part of starting your swimming pool installation process, so take the time to look at lots of photos to get ideas of what you like. Designing your dream pool is not simply about working with a competent pool contractor, it will also require other factors that contribute to receiving quality results like the experience of a pool design specialist. The design concept of a swimming pool must be engineered properly from the outset. For these reasons it is vital to appoint a professional and seasoned pool designer. Our team has provided swimming pool construction in Texas with designs that transform backyards into unforgettable experiences for over 20 years, and they never seem to run short of great ideas. It is part of our design team’s job to keep up with new custom trending features, accessories, and construction methods to help you get the pool you deserve. 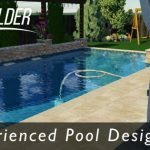 Our swimming pool construction engineers and designers will provide you with an in home consultation and 3D rendering of your personalized and scaled pool design at no obligation. 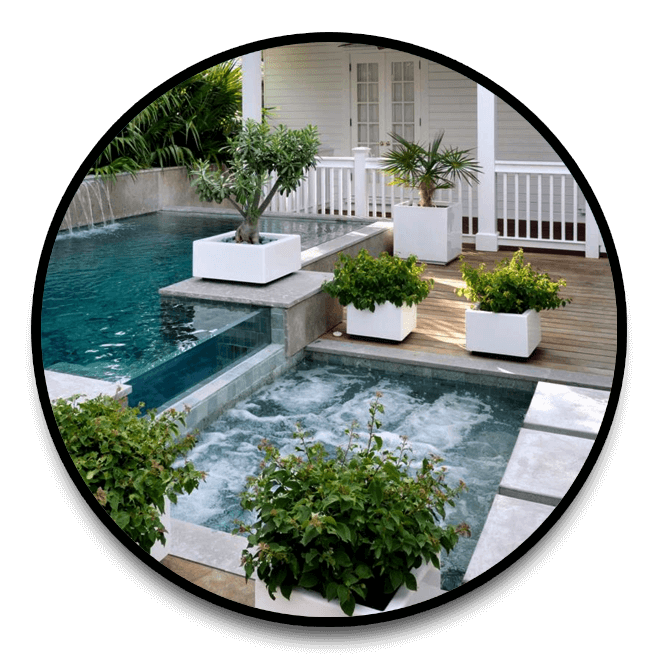 Apart from the practical aspects of designing custom in-ground pools & spas, our team will also make the most of the aesthetic & architectural enhancement possibilities by creating an outdoor environment specifically tailored to your own personal style, the home, and local requirements. 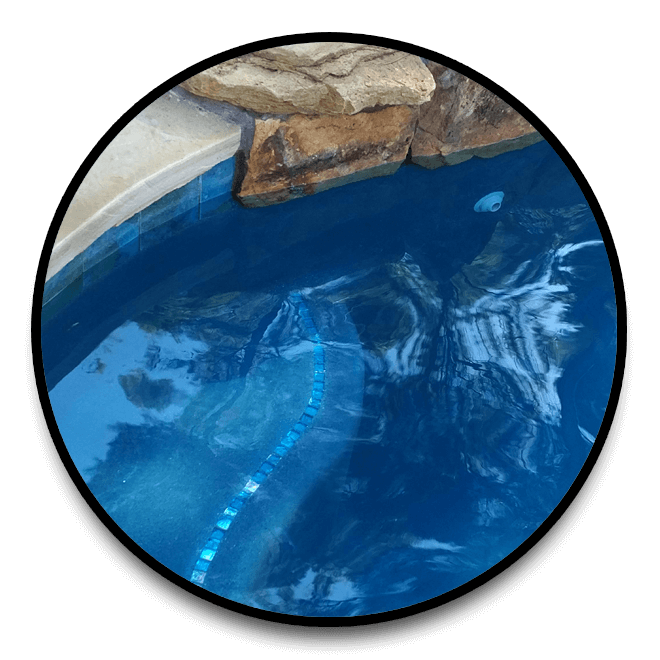 By utilizing all valuable architectural features in every direction we can enhance your pool design to give extra depth & dimension, strategically placed lighting effects, and even enhance the sounds naturally created by a new pool. Planning a backyard pool project is an exciting time and comes with many decisions and choices. Contact us if you have any questions or concerns about the process of designing an inground swimming pool. Provide your information below to receive a free Pool Design Worksheet sent to your email.